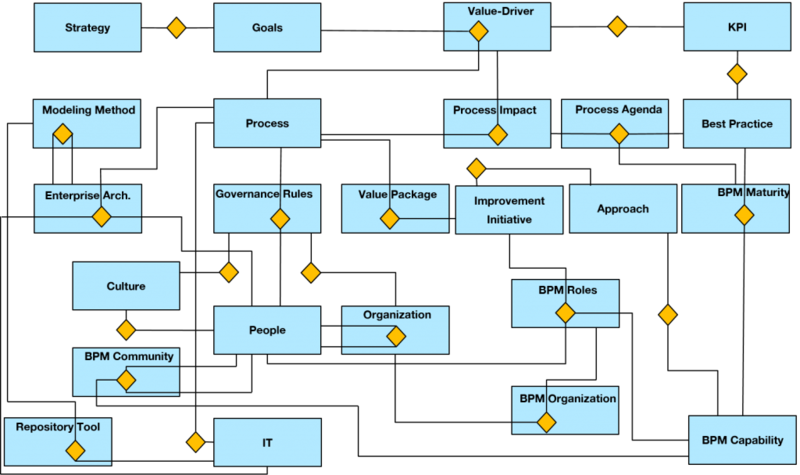 The processes are all then mapped to the BPM-D® Framework Information Model. This is a reference model that details all the major data entities required to bring the processes to life. We have examples of the attributes of these entities and what media they would most effectively be stored in. If in a repository, guidelines of the modelling techniques to be used for each of the entities and how to represent these and bring them to life.